The Cedar River has crested at 22 feet. Looking north from the 12th Av bridge. Cedar Rapids Mator Ron Corbett tours the area inside the flood barrier Tuesday. Water that is seeping into basements being pumped into the street. 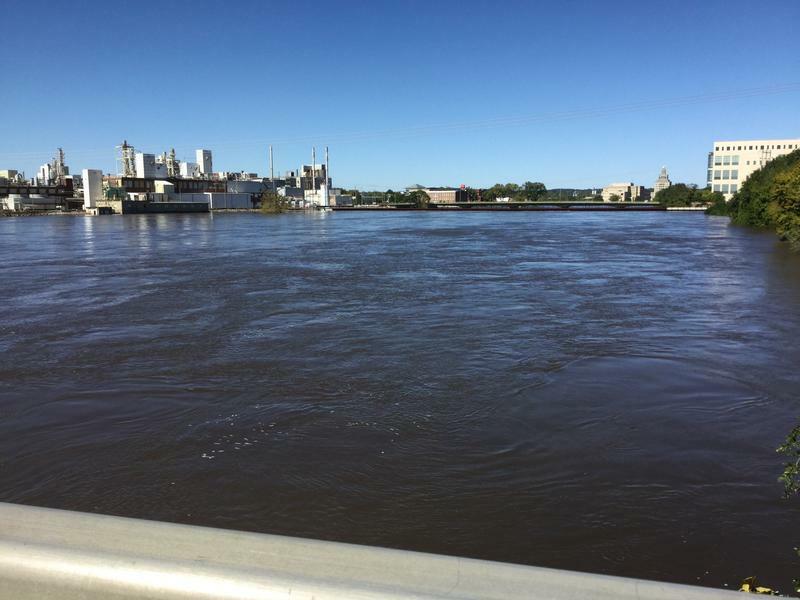 The Cedar River crested in downtown Cedar Rapids this morning, a foot lower than predicted but still 10 feet above flood stage. The river level was at 22 feet late this morning, and will begin slowly falling by late today. “It’s not over,” said City Manager Jeff Pomeranz at a news conference this morning. 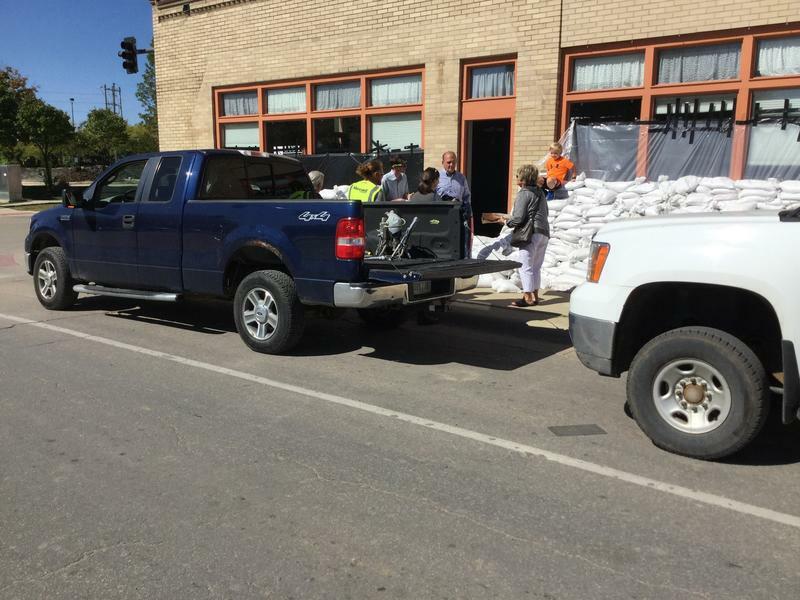 City officials are monitoring nearly 10 miles of temporary, sand-filled Hesco barriers and earthen levees, looking for weak spots and for possible breaches. “We’re very confident this temporary system will work,” said Pomeranz. 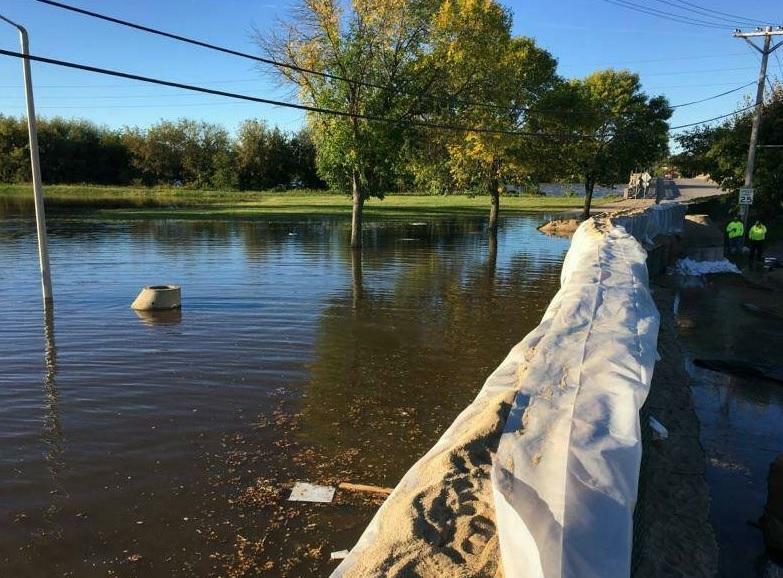 A temporary barrier holds back floodwaters in Cedar Rapids' NoBo area. 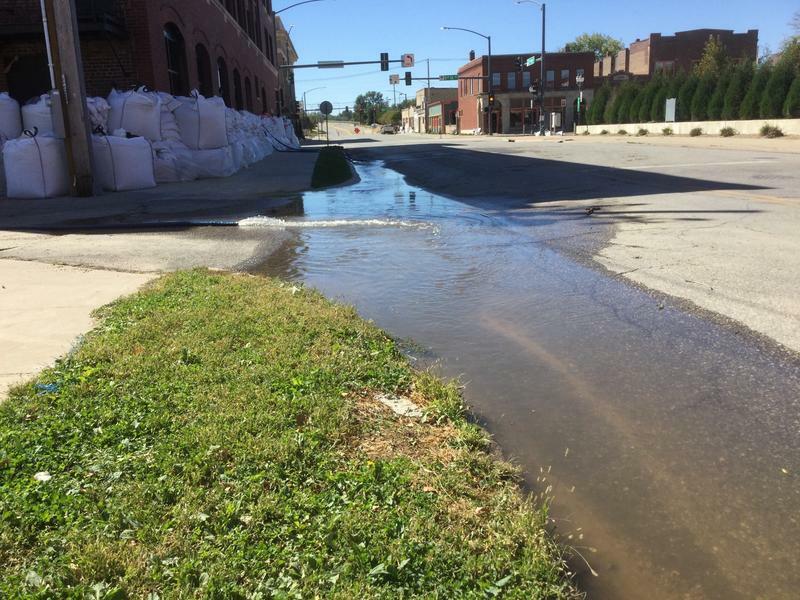 City officials have said the greatest danger of a breach and widespread flooding exists as long as the river is higher than 18 feet, due to increased hydraulic pressure underground. Water levels are expected to drop below that mark Thursday evening. The river is predicted to remain above flood stage until Sunday evening. Public safety officials say the voluntary evacuation zone has been largely quiet. An 8pm-7am curfew exists in the area, and police say they had to call the parents of some teens seen wandering the area last night. Also, Fire Chief Mark English says a person had to be rescued yesterday after entering the river and being swept away by the fast-moving current. He says there has been a “troubling number” of people getting too close to the water to take pictures, and that people need to stay away from the floodwaters for their own protection, and for the safety of rescue workers. 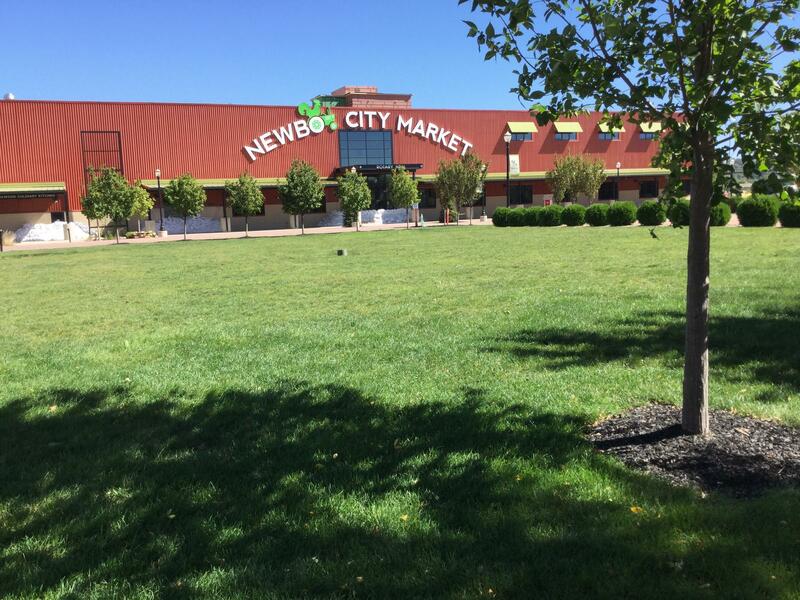 The NewBo City Market is a few blocks from the temporary flood barriers. It is in an area rebuilt after the 2008 flood. The American Red Cross continues operating two emergency shelters in Cedar Rapids: At St. Paul’s United Methodist Church and the Cedar Hills Community Church. City officials say they have not determined yet when it will be safe for people who’ve evacuated their homes to return. One thing that will take a bit longer to return to normal is transit service. The city said this afternoon that transit service will remain suspended through Friday. People with questions for the city can call 211, although some people using cell phones have reported trouble getting through to that number. People with cell phones can also call 319-739-4211 or 866-469-2211.